Seize the initiative, avoid falling into traps. Copyright ©2019, Environmental Law Institute®, Washington D.C. www.eli.org. 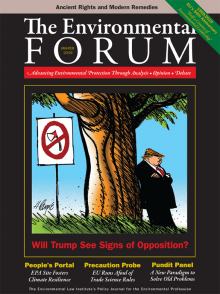 Reprinted by permission from The Environmental Forum®, January-February.